GM's large international operation and the popularity of Buick in China leads to some strange intercontinental platform sharing. We untangle part of the mess below. Currently, Buick is selling the Daewoo Lacetti-based Buick Excelle in China. Yes, this is the same car the Suzuki Forenza was based on. But this is getting replaced! Not by a Daewoo product, but rather by the Buick Ying Lang, which is going to be a rebadged Opel Astra likely built on the Delta II platform. If it is Delta II then this will also be a relative of the Chevy Volt. 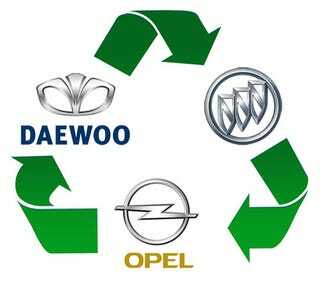 And what happens to Daewoo? They're going to be getting a new sedan that's basically a re-badged 2010 Buick LaCrosse, which is built on the Epsilon II platform that underpins the new Opel Insignia and Saab 9-5. 2010 Buick LaCrosse: Blue Hair No More! We hope this clears everything up.